Dexterity, Loft, Condition will change. The TaylorMade M2 2017 driver was created with a multi-material design of titanium and carbon composite to allow for maximum distance and forgiveness. The all-new 6-layer carbon crown and 9-1-1 skeletal titanium body frees up weight and increases clubhead speeds. Combined with an extremely low center of gravity, the M2 2017 driver has more distance and forgiveness than ever before. With externalized sound ribs optimized for clubhead vibration, the GEOCOUSTIC technology gives the M2 an exceptional sound and feel. The M2 2017 also features a deeper, more active (3-times more active!) Speed Pocket for high launch/low spin shots for added distance. The lightweight, aluminum loft sleeve allows for 4° of loft movement for added personalization. Displaying 13 out of 13 Questions. It says this 2017 M2 driver has an aluminum loft sleeve. Is it still interchagable for switching shafts with the older model M2. Yes, the shafts are still interchangeable with the 2016 model. The Fujikura XLR8 shaft has a mid stiff tip, high launch, and mid spin while the White Tie has a soft tip, high launch, and high spin. It is a high launch, high spin shaft. Is the loft adjustment + or - 2 degrees? Yes, loft can be adjusted up to 2 degrees up or down. Does the Taylor made M2 have plus or minus 2 degrees from the stated club loft? Yes, it comes with a 4 degree loft sleeve for adjustments. The M2 does not have any adjustable weight. Only the loft adjustments in the hosel. A senior-flex shaft is appropriate for a golfer who swings less than around 70 miles per hour. Yes, it is a 460 cc driver. This club will work with a shaft from an SLDR as they both use the loft sleeve adjustment tip. If I bought the 2017 m2 driver in 9.5 degrees of loft, would I be able to adjust it to 10.5 degrees of loft? If so, would it open or close the club face at all? Yes, you can adjust it up to 2 degrees up or down. Going to a higher loft slightly closes the clubface while going to a lower loft slightly opens it. Does this club come with the tool to adjust the loft? New clubs will come with the tool. Used ones will not. The standard length for the M2 2017 is 45.75 inches. Any idea of suggested swing speed for Fujikura Pro XLR8 56 regular and stiff shafts ? In general, regular flex is for 85-95mph while stiff flex is for 95-105mph. After about a 10 year hiatus I came back to the game last year. Since it was pretty much starting over for me, like most "beginners" I was back to slicing off the tee. I decided if I was going to play regularly I'd need to upgrade my 20+ year old clubs and bought used to start. The D Type of this club was the driver all my golf buddies recommended to cure what ailed me off the tee. I ordered it in "Very Good" condition and if you ask me it was Mint, so I was happy with that. I'm not going to say that it flat out fixed everything right off the bat, but after a few rounds, some tweaking (I adjusted the loft to 8 degrees), and some range work, I am now only severely slicing about one drive a round vs. every other drive before I switched. Typical ball flight for me is still a slight fade, but I can play that. Every now and again I even manage a baby draw. I won't say the look our sound is good or bad since I feel that's highly subjective, but I think square hits are pleasant to my ears and the look suits me. The feel, however, is pretty amazing when hit at center face. Even off center hits don't feel bad, but you do get a little feedback. Lastly, this thing hits long! Granted I went from a 20+ year old driver to this, I went from averaging about 230-240 off the tee to about 270-280 with plenty of outliers 300+. This club made me enjoy the tee box again that's for sure! I have a 19 handicap and have a Black Razor Driver that I really like. I can usually hit it straight at about 210 yards when hit well. The M2 finds the fairway more often and has added about 30 yards of distance. I am 62 and didnt really think that this kind of improvement was possible so it gets 5 stars from me. The club was in better condition than advertised. Me and my dad play twice a week, I purchased him a “M2” driver for Christmas. It arrived quickly and painlessly, as global golf always does. Great shape. He played for about a month and noticed a crack starting about 1/2” back from the face on the crown. Email and a printer and he was quickly back in business. They sent us a replacement club, I am totally happy with Global Golf. Alas here it is a few months later and this glorious carbon and metal, futuristic club has cracked again. The paint on the crown cracks and you can see it’s where it was joined. Once, I’ll give it bennifit of the doubt. Twice, my disappointment is telling. 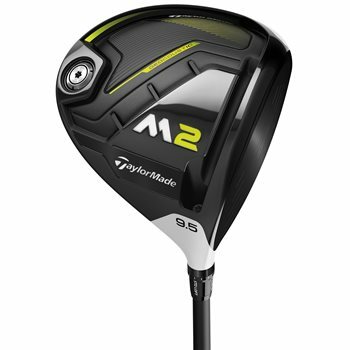 Thought TaylorMade good products till I bought the M2. This is my first issue ever with Global Golfs products. I get good distance /w off center hits and when hit the S spot the ball really flies. Am able to work ball both ways although my primary shot is a high draw. Good upgrade if you don't want to spend BIG money for the newest models. New to the TaylorMade 2017 M2 driver is its “Geocoustic” sole design. It uses geometry and acoustical engineering to deliver more forgiveness and better sound. The new speed pocket, located on the sole, is 3 times more flexible than the 2016 M2 driver. 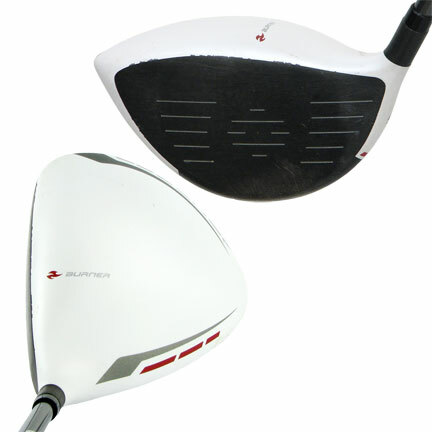 As a result, ball speed increases across the face, amplifying distance. Similar to the 2017 M1 driver, the 2017 M2 has a 4-degree loft sleeve with 12 adjustment settings. It comes stock with the Fujikura Pro XLR8 56 shaft, which produces a high launch. The available lofts are 9.5, 10.5, and 12 degrees. Left-handed golfers can order all but the 12-degree version. Read more about the TaylorMade 2017 M2 driver here.